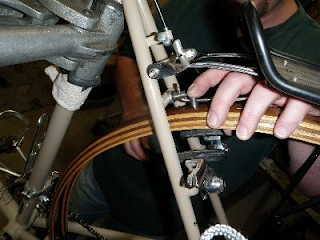 This document is an attempt to explain the installation process for the super cool MK Fenders. The new MK Fender hardware kit is unique and just pretty darn cool. It should be noted that every installation of MK Fenders is somewhat custom so expect some differences. The first thing you need to do is cut the bent ends off your fender struts. 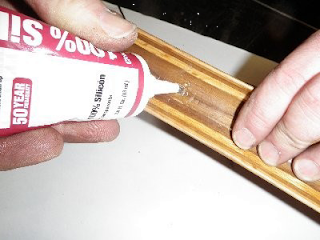 Your strut will have one end that is extra long and have a 90 degree bend on it. 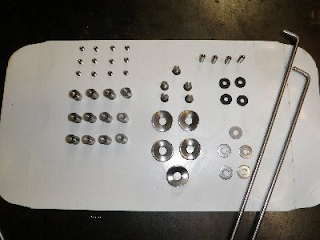 These pieces are used to attach your fender to the frame at the brake bridge and fork crown. 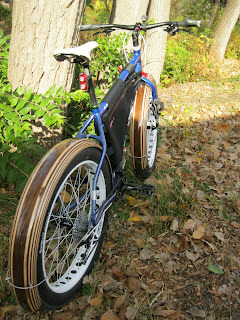 Now it is time to drill some holes in your cool new fenders. This is the thing that scares most people but the cool thing about this hardware setup is this no longer has to be an exact science, you just need to be close. You will drill three holes in the rear fender and two in the front. To start I would decide which end you want at the bottom bracket and drill your first hole about ½ inch from the bottom of the fender. Then decide where you want your rear fender strut to land. I usually go about 4 inches from the end of the fender but there are no rules, decide for yourself. The last hole is at the brake bridge and you will need to hold the fender in place and mark the spot. 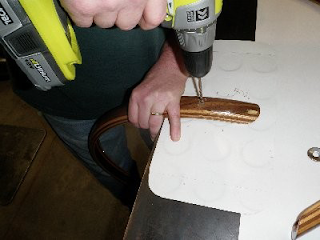 Use a quality center punch and then drill the three 13/64th holes. Mount MK Fender standoffs in the brake bridge and the rear strut positions. To do this you will need 2 “flat head socket cap screws”, 2 shaped fender washers, 2 regular stainless washers and 2 MK Fender standoffs. The flat head socket cap screws feed through the shaped washer through the bottom side of the fender. On the top of the fender set the stainless washer and standoff. 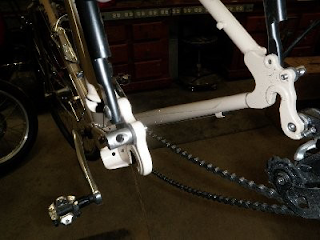 Mount the fender to the brake bridge and the chain-stay bridge, at the chain-stay bridge use a flat head socket cap screw and a shaped fender washer from the inside and a rubber washer between the fender and the frame. 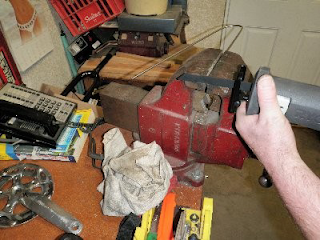 Cut off any extra length on the angle strut. Mount 2 MK Fender standoffs to the frame eyelets at the rear dropouts. 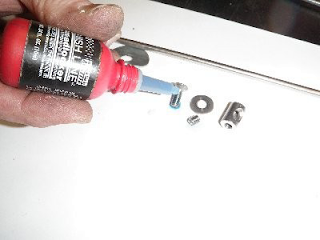 To do this you need to use 2 of the long set screws, 2 rubber washer, and 2 standoffs. I would reinstall the rear wheel at this point. 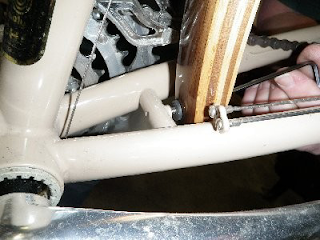 You need to install the rear fender strut and then estimate where to cut the strut ends. Line up your fender with the desired space between the tire and then mark your strut cuts. 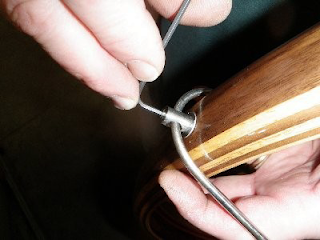 Remove the strut and cut and file the ends. Reinstall and make sure everything is aligned correctly. Personally, at this point, I would stop and drink a beer. The rear fender is mounted and it is time to look at the front. The front fender is much easier than the rear. I like about 6 inches sticking out from the front of the fork crown. 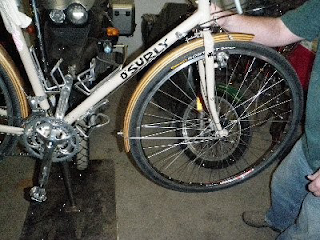 You have experience now that you have installed the rear fender so this should all be easy. Mount the angle strut to the fork crown and mount the 2 MK Fender standoffs to the fork eyelets. 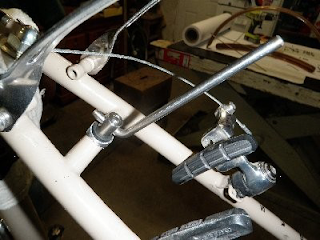 Decide where you want the fender strut to sit on the fender and mark your 2 holes. Drill and mount the MK Fender standoffs to the fender. Install the fender at the fork crown and install the fender strut. Mark your strut ends and cut them. This is where we screw with you a little, if you read your instructions completely before you started you will have done this from the start. 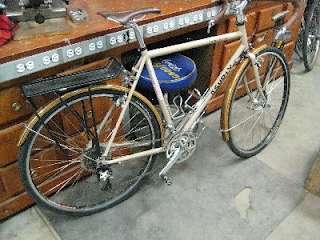 If you did not now it is time to completely remove the fenders you just spent an hour and a half to install and Silicon every hole and Loctite thread-locker every bolt. Here is your completed project. Drink a couple cold friendlies and then go for a townie on your sweet wood-fendered machine. Note to Installers: Fenders of over 70mm need 2 stand-offs per strut on both the front and the rear. 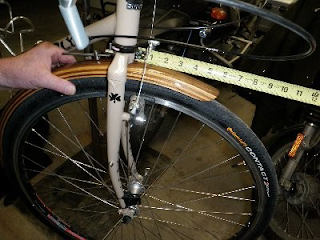 These fenders are wide enough that they need the extra stand-off for stability. 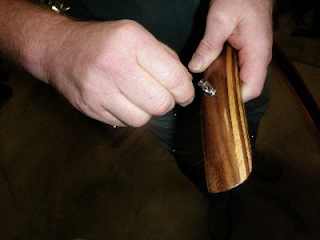 The use of 2 stand-offs require a little finesse and may need the struts to be reshaped slightly. Also the stand-offs need to be on the struts before attached to the fender. Wait to tighten set screws until both fender and wheel are installed. Sweet looking fenders, I love the hardware. It is something with a little more style then the normal stuff. Wow!! 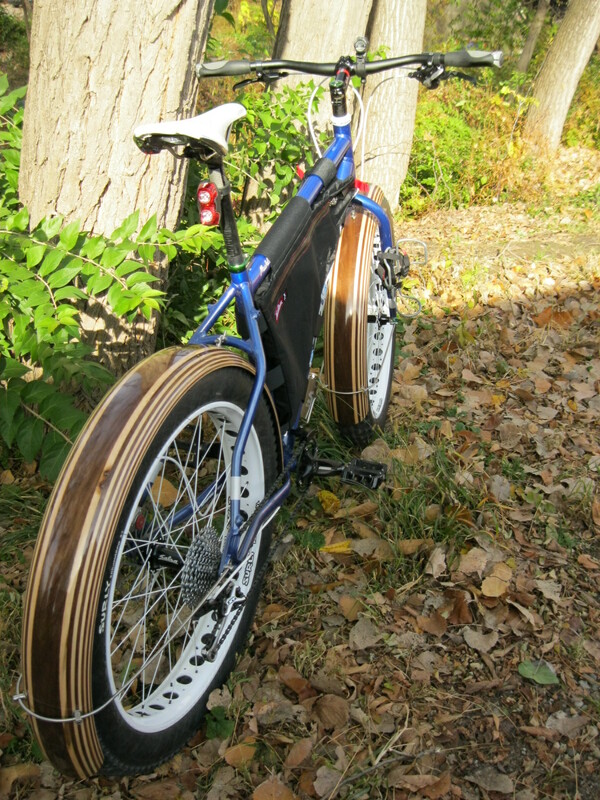 I'm very impressed with your website as well as these fabulous fenders!! Well done!! Who's your marketing guy?! He's got some serious skills!! These are impressive! In my opinion, anyone in search of bike fenders need look no further!! These unique, uber-high-quality works of art will be coveted by all who lay eyes on them....that is, until they come out of their momentary-lapse-of-consciousness and realize that owning them is better than coveting them, and they make their WOW! !-where-have-you-been-all-my-life purchase! How far back in line am I for a pair of these beauties?! I want to be a moving billboard for your product! !